Last week, myself and another postgraduate attended a ‘Twilight Session’ for those interested in politics MA study at Newcastle. This was lead by a presentation from Dr Simon Philpott (a Senior Lecturer in International Politics and MA Politics Programme Director). Both Veronica and myself then gave a short, informal talk on are own experience of postgraduate politics at Newcastle. I thought it might be useful for anyone reading this blog, who might be thinking of coming to Newcastle to study for a politics MA, to layout all the reasons myself, Veronica and Simon gave at the talk for why Newcastle University is your best choice for postgraduate politics in the UK. Wide range of eight different MA pathways, specialising in international politics. Newcastle also offers the MA Politics (Research) pathway, designed specifically for those looking to gain the research skills needed to make the step up to PhD level in the future. Specialised PG modules, lots of flexibility on choice from across the humanities and social science PG modules at Newcastle. Create the postgraduate degree you want to do. Career Development Module for PGs: Get work experience while you study for your MA, experience that contributes to your degree and future. PG politics at Newcastle is committed to stimulating small group teaching, meaning no massive seminars that stop you from expressing yourself and discussing ideas. Personal and friendly tutor-student relationship. Staff are engaging, very motivated and always welcoming to PGs who want to come and discuss their work. They are also experts and leading researchers in their fields of study. Excellent library resources. The main library for politics is right next door to the Politics building, so very easy access. Active postgraduate community: Politics Postgraduate Society, Film Night, outside-speaker seminar series, student representation opportunities (represent your course or school at senior level meetings). Lots of funding opportunities: Alumni Discount, HaSS PGT Excellence Scholarship, HEFCE PGT Funding, University Funding database. 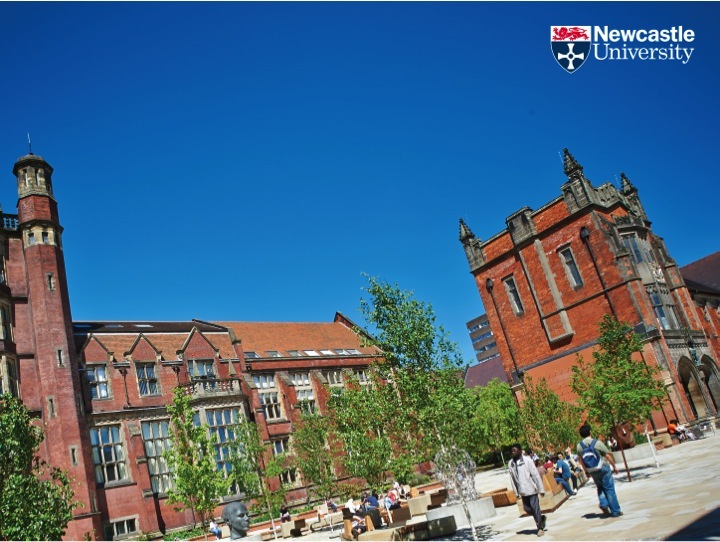 Newcastle is consistently ranked within the Top 20 Universities list in the UK (Russell Group University). Newcastle as city is also a fantastic city to live in: affordable, greate range of cultural and social experiences, excellent transport links with Newcastle International Airport and Newcastle Central Station (direct trains to London, Manchester, Edinburgh). PG Politics at Newcastle is a fantastic and rewarding experience. So if you have read this blog post and you think Newcastle might be for you; don’t delay, apply today!